We crossed the new Penang Bridge, and arrived at Cititel Express Penang around noon. I have heard all the good things about Penang Food, particularly the Cendol at Penang Road. 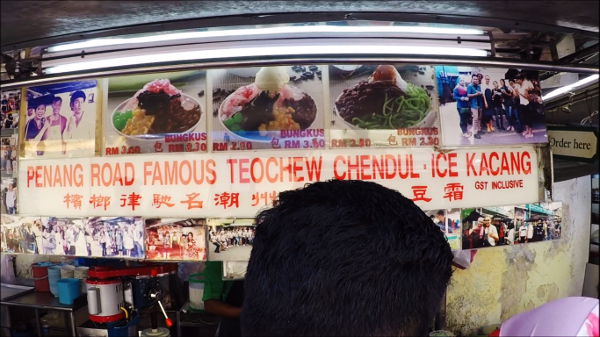 Its stall name is actually Penang Road Famous Teochew Chendul. So, naturally, since it was around lunch time, after we checked in, left our luggage, we headed for this famous Teochew dessert. 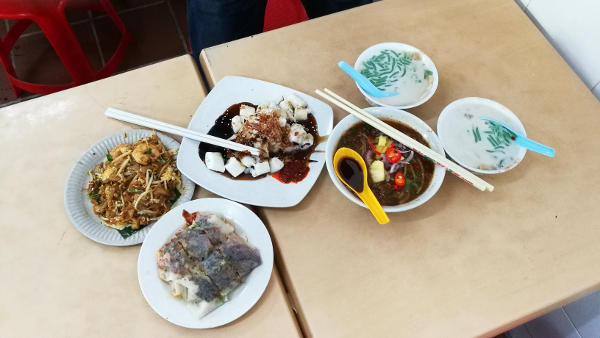 There are so many delicious food in Penang. One of the most famous is this Cendol (sometimes written as Chendol, Cendul or Chendul). Whichever it is, it is a popular dessert that is refreshing and thirst quenching. Continue reading this blog post for more info, photos and videos as well as where to find this awesome Penang Food. Wonder what the stall looks like? What the Cendol or Chendul is made of and how they make the delightful dessert? Where to enjoy your dessert? All your questions (and more) answered in this video. Watch Video Now! The food stall selling the Chendul is actually at Lebuh Keng Kwee. 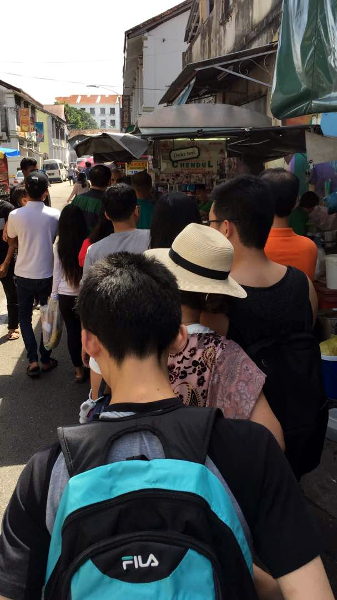 How did it get the name – Penang Road Famous Teochew Chendul? 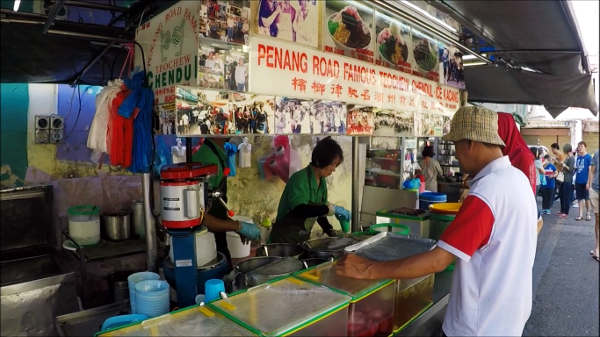 It was because Penang Road was the place where the founder, Tan Teik Fuang, sold the Chendul back in 1936. With values such as humbleness, friendliness and always ensuring high quality food is served, the brand has stood the test of time, and till today is loved and enjoyed by many. In 1977, his sixth son, Tan Chong Kim, took over the business. He further improved the product quality, and made the service faster and friendlier. Under his management, the business grew. The dessert gained popularity. Today, the flagship stall still operates at Lebuh Keng Kwee. In recent years, the brand expanded to outlets across Malaysia. And at the new outlets, more food was offered besides the Signature Chendul. First, join the long queue. See the photo below? Yes, most times, the queue is that long. If you are lucky, it can be a little shorter. But fret not. Though the queue is long, the service is really fast. So the wait time is short. About 5 to 10 minutes, depending on the length of the queue. When you reach the stall, you will be asked for your order. Simply inform them how many bowls you would like to have. The stall is actually outside a coffee shop that serves many Penang Food. Some people buy the Chendul from the stall, and then have it inside the coffee shop, along with many other delicious food (see below). The Chendul & The Other Penang Food! As mentioned above, it is hard to resist all the good Penang Food. Also, the servings are really small. So it is no problem buying a few dishes to enjoy. See our haul in the photo below. Of course, we had the famous and popular Cendol. It was really awesome! To be honest, I was never a Cendol fan. The ones in Singapore tasted all right but nothing to shout about. When I had a spoonful of this dessert, I was shocked! So this is how Cendol is supposed to taste! It had the perfect blend of fresh coconut milk, green jelly, red beans and gula melaka. The texture of the green jelly was so soft and slippery. And they must have used really high quality red beans. The gula melaka is a form of sugar made from coconut palm. The type they used here is one of the best I have tasted. As for the rest of the food we had at this location, they were all right. But not as good as the famous ones, which I will blog about later. 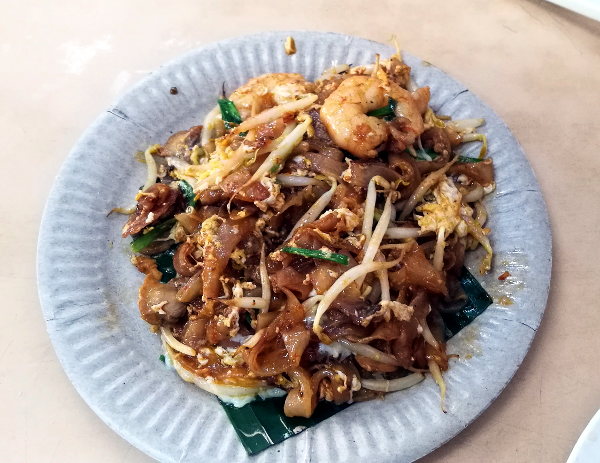 For example, the Fried Kway Teow or Char Kway Teow was rather bland. The one we would have later, the famous Fried Kway Teow, was far superior to this one. Tip: Have the Fried Kway Teow at this coffee shop only because it is lunch, and the Cendol is not enough to fill the tummy. As you can see from the group photo of the food, we also had Assam Laksa or Penang Laksa. This dish, at this place, was all right. When we had it, we thought it was quite delicious. That was until we had the Assam Laksa at Air Itam. More about that famous Penang Laksa in a future blog post. Tip: Of all the food at the coffee shop, we recommend the Assam Laksa (aka Penang Laksa). Only if you choose to dine at the coffee shop. Notice I did not showcase the rest of the food from the above group food photo? That is because they tasted really not good. 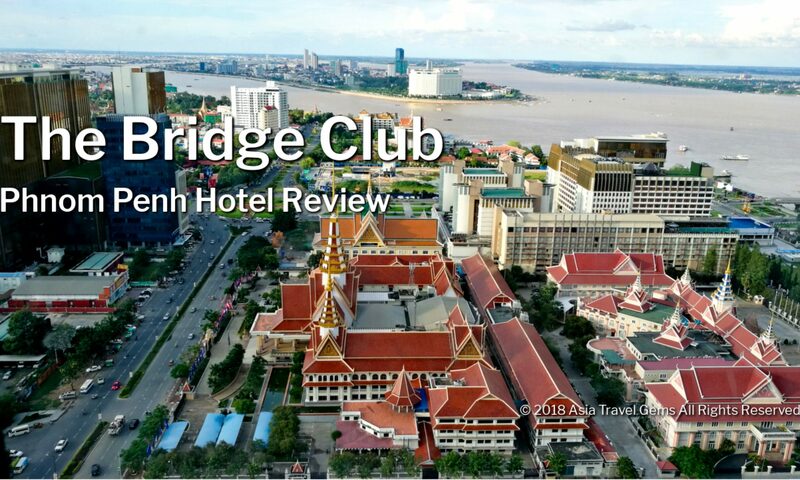 Read the Asia Travel Gems Final Word below for our recommendation on what to enjoy at this place. The Penang Road Famous Teochew Chendul deserves top score. As mentioned above, the Chendul is really superb. The combination of the fresh coconut milk, the gula melaka, the green jelly and the red beans created a dessert that is unforgettable. Each ingredient must have been thoughtfully chosen of the highest grade and quality. So that they mix together so well that other desserts should be of the same standard. Tip: Enjoy the Chendul in the comfort of the coffee shop. Order the Assam Laksa, just to fill your tummy. The stall is famous. While it is good to have a map to guide you there, there is no problem asking the locals for the exact location of this stall. Everyone seems to know where it is at. If you are staying in a hotel in Georgetown, chances are you should be able to get here on foot. Just check with the hotel you are staying at. First, if it close by and then how to get there. This is a small town. There are no train services. If you drove to Penang, you are at an advantage. Traffic is not as heavy as cities such as Kuala Lumpur. Navigating around is easy, especially if you have Waze app. Plus, parking is usually not a problem because there is ample space almost everywhere. 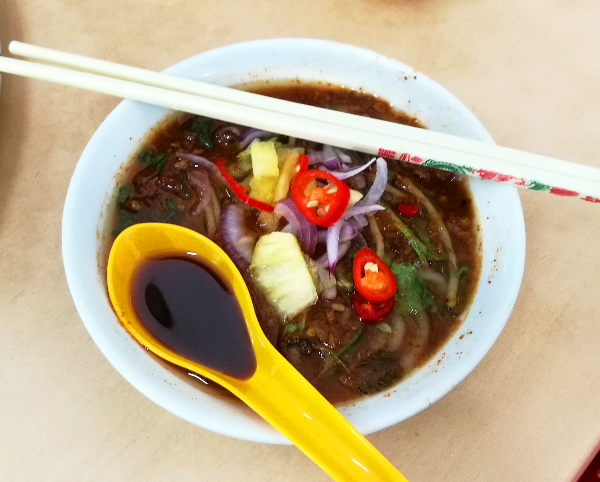 If you have ANY questions about this review, about Penang Food – Cendol at Penang Road, ANY at all, please submit your questions as comments below. I will be happy to help you out. Great review of Penang food. I’m so glad that you included the best way to get there. It is very helpful for travelers. Thanks Melinda! Glad you like the review. Very happy you appreciated the How To Get There info. It’s something I would like too if I ever come across info from other sites. So I thought it is best to add to my review too. I enjoyed reading about this dessert and the other food. It all looks delicious and I really liked the video showing the stall and the line of patrons. The entire area looked colorful and like people were enjoying themselves. Nice post with lots of information. Great sight!! If i ever make it over there i will drop in to the coffie shop and have some of that delicious desert!! Thanks Laurie! 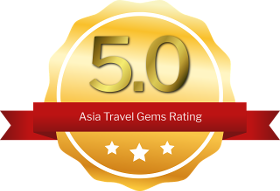 Glad the review helped you to know where to go, and to drop by if you are ever in Penang. Have a lovely day! Ok well now I’m hungry haha. My favorite thing when I travel is trying all of the different foods, really a great way to learn the culture. Haha. I am happy to hear that Brandon! It is the best thing to hear when a reader gets that reaction after reading a review here. I, too, like you like to try as many types of food when I travel. Hope you get to try the Cendol in Penang some day?